Chancellor Philip Hammond’s budget has been broadly welcomed by the hospitality industry particularly his announcement of a business rates cut of one third for sites with a rateable value of £51,000 or less. The budget is expected to save the hospitality industry £750 million. The business rates cut, which the chancellor said would see savings of up to £8,000 for 90% of independent pubs, shops, restaurants and cafes, will remain in force until the 2021 business rates revaluation, and he also announced £675 million of co-funding for the creation of a future high street fund to support councils to draw up formal plans for the transformation of high streets. The Chancellor’s budget also saw the duty on cider and spirits frozen, but wine duty is to rise. 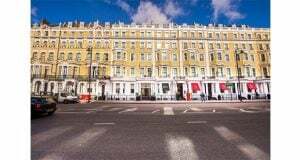 British Institute of innkeeping CEO, Mike Clist said “We are delighted to hear that business rates have been cut by one third for many of our members running businesses with a rateable value of under £51k. This will provide much needed help to the most vulnerable pubs in our communities. In the longer term, root-and-branch business rate reform will be required to tackle the disparity between high street businesses and online retailers. The freeze on duty for beer, cider and spirits was unexpected, but very welcome, and will provide a much needed boost to our industry. We believe that the help our industry has been given by the Chancellor in today’s Budget is a direct result of all the organisations and associations within our great sector, joining together as one voice behind the #longlivethelocal campaign. UKHospitality Chief Executive Kate Nicholls said: “This was a positive Budget for hospitality, recognising and acknowledging our core campaigns around employment costs, business rates and digital paying its fair share – together with a positive outcome on excise duty, latte levy and non-residential capex and investment allowances. We estimate the measures announced in the Budget as a result of our campaigns are likely to save the trade £750m. “Hospitality businesses have been devastated by spiralling business rates costs, so steps to address this are welcome. UKHospitality has exhaustively campaigned for support for the sector on business rates, so it positive to see the Government listening. “We welcome the Government’s decision to freeze duty on spirits, which will support this great British sector to invest, grow and create jobs – as well as supporting the public finances through increased revenues. However, the decision by the Chancellor to increase wine rates significantly is a hammer blow to this great British industry. It actively undermines a sector that has been hardest hit since the Brexit Referendum and will be thoroughly unwelcome for the 33 million consumers of the nation’s most popular alcoholic drink. This above inflation rise is grossly unfair, unjustified and counter-productive. The UK is the world’s biggest wine trading nation and, as such, deserves government’s support, not punishment. The wine industry is, unfortunately, no stranger to harsh treatment from Chancellors. Since 2012 wine overtook beer as the largest contributor to the public purse through duty payments, and no alcoholic drink has paid more to the Treasury since then. Today’s announcement means that only twice since 2003 that Chancellors from either party have showed their support to an industry employing some 190,000 people across the country. Brigid Simmonds, Chief Executive of British Beer & Pub Association, said: “Pub-goers across the UK will be toasting the Chancellor tonight following his decision to freeze beer duty. This early Christmas present will save brewers, pubs and pub-goers £110 million and secure upwards of 3,000 jobs that would have been lost had beer duty gone up. “Clearly, the Chancellor has listened to the seven in 10 people in the UK  who said they’d like to see beer duty cut or frozen in the Budget. Pubs are so important to their local communities and 82% of the beer we drink here is brewed in the UK. 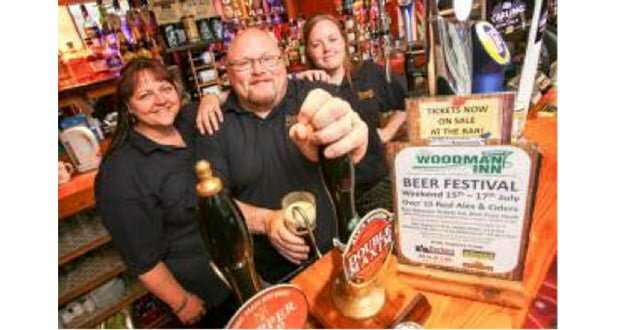 “This is a big step in the right direction and a huge help for pubs across the UK that are struggling. I hope we can continue to build on this success in the future and we will continue to celebrate the vital role that local pubs play in communities and highlight the ongoing pressures they face by supporting the Long Live the Local campaign. “The Chancellor’s announcement to cut business rates for high street and other small businesses is also great news for a lot of pubs. This will benefit community pubs by £120 million over the next two years, securing the viability of many locals across the country. We would urge the Chancellor to use the announced Digital Services tax to provide further support for all pubs large and small. “Furthermore, the Chancellor’s decision to announce a review of Small Brewer Relief is most welcome. “The announcement that the contribution by small businesses for the Apprenticeship Levy will decrease from 10% to 5% is also very good news for pubs. Likewise, so is the increase in investment allowance from £200,000 to £1 million. BBPA members invest over £200 million in their pubs each year. 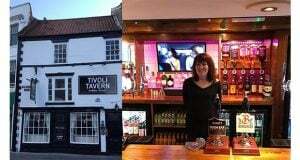 “These decisions are particularly welcome in light of the additional cost pressures facing pubs, such as increases in the national minimum wage and the previously announced increase in the climate change levy.